In August, a little-known mainland Chinese start-up proudly announced it had “broken the American monopoly” with the development of an original web browser. But Beijing-based Redcore’s claim to fame was short-lived – its software was quickly found to have traces of Google’s Chrome. Redcore was forced into a swift public climbdown, in an incident that underscored the West’s long-standing grievances over what it sees as Beijing’s strong-arm tactics for technology transfers and intellectual property theft. It was also a reality check for China on the gap it faces with the US in its quest to become a tech superpower. The origin of Redcore’s ambition, and that of many Chinese tech firms, can be found in the state-driven “Made in China 2025” (MIC2025) plan unveiled in 2015 that aims to lift the country’s industries – from robotics, aerospace and new materials to new energy vehicles – up the value chain, replacing imports with local products and building global champions able to take on the Western tech giants in cutting-edge technologies. Three years on, the plan has become a lightning rod in the big-power ideological rivalry between the US and China that has come out into the open with their ongoing trade war. The US, sensing a threat to its global technological dominance, has seized on the plan as an example of what it sees as unfair state intervention in China's economy. 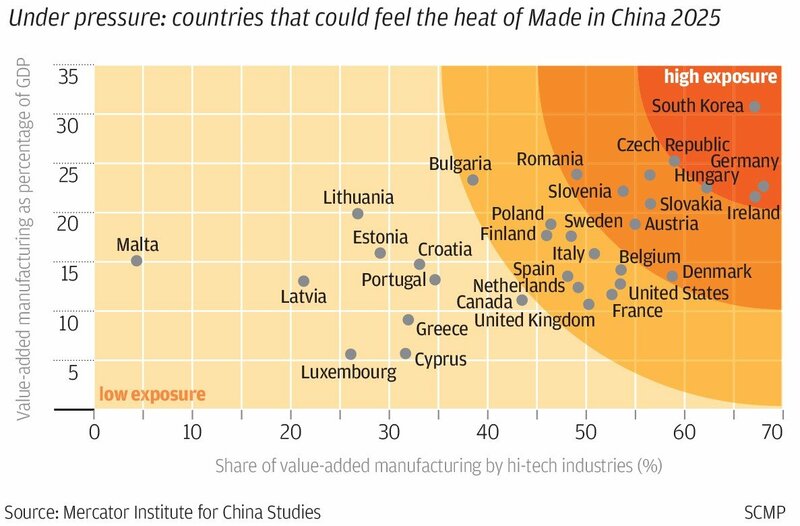 “It’s hard to say whether the US attitude towards MIC2025 is more a perception than a realistic [take] because China’s manufacturing isn’t strong, and that’s the reality,” said Lu Jiun-wei, deputy researcher at the Taiwan Institute of Economic Research. For China, the original idea behind MIC2025 was simply to catch up with other countries, a tall order even by its own admission. Look no further than the new-generation information technology sector, one of the plan’s 10 target industries. After more than two decades and billions of dollars spent, China has yet to commercialise a home-grown operating system for computers, or a microchip, not to mention breaking into the global computing market that Microsoft and Intel dominate. “We are basically at the stage of ‘following’ … especially for [developing] core technologies, which can’t be bought and nor, if we ask for them, will people give,” said Zhang Haiou, a professor at Huazhong University of Science and Technology. Even Miao Wei, China’s industry and information technology minister, has conceded that the nation needs another 30 years to become a manufacturing superpower. “Made in China is not as powerful as perceived,” he said in 2015 remarks to delegates at the Chinese People’s Political Consultative Conference, the country’s top policy advisory body. But the desire to be a tech superpower is bound up in President Xi Jinping’s “Chinese dream” idea, and has been swept along on a wave of nationalistic pride. Provinces and cities have lost no time in converting every development plan into a MIC2025 initiative. MIC2025, Beijing believes, is a lifeline to steer development into the future, moving the country away from being the world’s biggest assembly line and a producer of cheap knock-offs and low-quality goods. The plan was drawn up by more than 150 scientists and scholars in 2014 under the supervision of the Ministry of Industry and Information Technology, along with 20 other cabinet-level entities that included the National Development and Reform Commission, the Chinese Engineering Academy, and the ministries that oversee science, technology and finance. Jacob Parker of the US-China Business Council. A Leading Group for Building National Manufacturing Power was also established in 2015 under the leadership of vice-premier Ma Kai to coordinate the planning and implementation of MIC2025 policies nationwide. This was followed by a technology “road map” published a few months later that gave more specific targets for the industries singled out in the plan. The leading group’s strategic advisory unit met as recently as March this year to evaluate development plans from numerous cities including Ningbo, Changchun, Wuhan, Hefei and Shenyang, which are vying to become centrepieces of the initiative, even though they are not generally known as hi-tech centres. Under the principle of “the market to lead, government to guide and reforms to deepen”, the plan aimed to increase the overall domestic market share of Chinese tech suppliers to 70 per cent by 2025 as well as to cut operating costs, production cycles and product defect rates by 50 per cent and to establish 40 innovation centres. Stressing “indigenous innovation” and “self-sufficiency”, the plan paid lip service to the role of foreign investors, saying only that investment should be channelled to sectors like new-generation information technology, new materials and biopharmaceuticals. The plan has its share of flaws: it came without any budget or financial stipulations, leading some to question how thoroughly it was thought through. In addition, the acquisition spree it triggered has become a double-edged sword. Cash-rich Chinese companies have been as much resented for encroaching on the national interests of other countries as they have been welcomed for saving ailing European and US companies. Most of all, the plan has so far failed to get what China needs most: core technologies that lie mostly in the hands of US companies. Just how vulnerable China is to US tech dominance became starkly clear in April when Washington slapped a seven-year ban on telecoms equipment provider ZTE over a violation of US sanctions on trading with Iran. The ban, later dropped, threatened to put ZTE out of business and leave thousands without jobs. It set off alarms in China, and increased calls to step up the development of core technologies. From the point of view of the US, there are reasons to be wary of China’s rise and its plans to forge ahead. Even as China struggles to build or acquire core technologies, the world’s second-largest economy has become the biggest market for e-commerce, mobile payments and industrial robots, with 800 million internet users, twice the number in the US. China has also built tech giants – internet gaming and payment firm Tencent Holdings, drone maker DJI, search engine firm Baidu and e-commerce company Alibaba Group Holding, owner of the South China Morning Post – that are buying up assets across the world and leading innovation. But it is the role of the Chinese government in MIC2025 that seemingly irks the US most, not China’s ambition to increase its technological capabilities. “The problematic aspect is how they go about doing it … the government heavily subsidising development, or discriminating against foreign companies or forcing technology transfers from foreign companies – these are elements of unfair competition and should be opposed,” said Jacob Parker, China operations vice-president at the US-China Business Council. To be sure, the state’s involvement has grown in the past decade. Like conventional Chinese development plans before it, MIC2025 mapped out set growth and market share targets – seeking in some cases up to a 95 per cent domestic share for a particular industry – traits of a planned economy that the US and European Union deem as breaches of the terms of the World Trade Organisation, which China joined in 2001. Beijing has said the targets are unofficial and non-binding, and that they also cover foreign companies operating in China, but that has not mollified the US. The European Union has also complained about the plan, seeing it as adding to long-standing grievances over restricted market access in China. The plan has also become a source of contention in a way that has not happened with similar initiatives in other countries, such as Japan’s “Connected Industries” and Germany’s “Industry 4.0” programmes, introduced before 2015. And the US has had its own plan to advance tech manufacturing and competitiveness: the “Advanced Manufacturing Partnership” (AMP). Launched by then-President Barack Obama in 2011, the AMP aimed to bring together industry, universities and the government to invest in emerging technologies. In 2014, Obama added the “Accelerating US Advanced Manufacturing” plan to the AMP, which promised further investments. The question remains as to what extent fears over MIC2025 are warranted. There are signs they may not be. 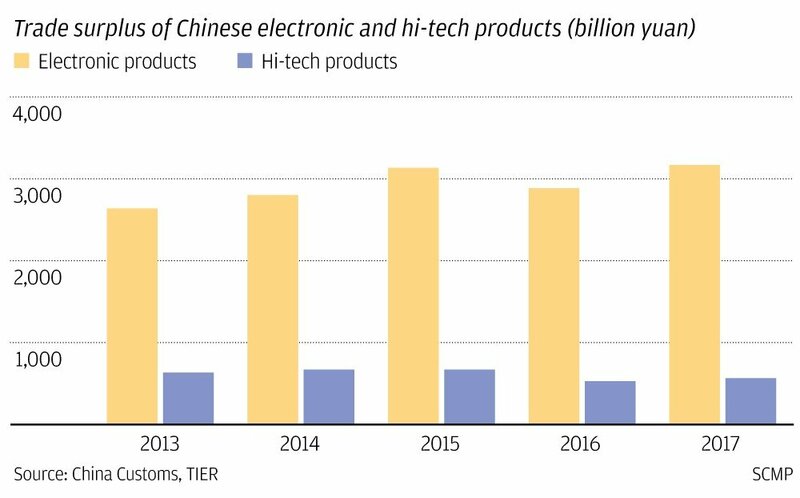 Lu of the Taiwan Institute of Economic Research said MIC2025 had not turned the tide for China, as its trade surplus for hi-tech products in 2017 fell from 2015, indicating that Chinese manufacturers’ reliance on foreign core technologies had grown. He argued that if China remained reluctant to step up fundamental research – or research that focuses on expanding knowledge rather than on just building products – efforts to upgrade the value chain would continue to be based on the strengths of foreign technology. That in turn would mean no end to the policy that has been one of the West’s main bugbears: insisting on technology transfers in exchange for access to the Chinese market. In a further indication of the lack of fundamental research, China charged a total of US$28.7 million for the use of its intellectual property rights in 2017, which while nearly 2.5 times more than a decade ago, is only 59 per cent of the US$48.4 million charged by the US, according to World Bank data. China is also facing slower economic growth, which could have an impact on the plan’s effectiveness. Growth has dipped from 10.6 per cent in 2010 to 6.9 per cent in 2017, and Beijing has had to pump in more credit to sustain economic output ever since the global financial crisis of 2008. According to alternative asset manager Astellon Capital Partners, the gross domestic product (GDP) output that one yuan of credit produced was halved to 0.4 yuan in 2015, from 0.8 yuan in 2008. The impact from the trade war is also beginning to bite. China’s stock market is the worst performer among the world’s major markets so far this year, and the central government has rolled out pro-growth policies, reversing credit tightening measures in the past year. Meanwhile, as the pressures pile up, Beijing has begun to change tack in the way it presents itself to the world, concerned that it is creating an image of arrogance. The triumphalism and exaggerations of China’s achievements in the five years since Xi came to power in 2012, like those captured in the propagandist documentary Amazing China – which was shown by state broadcaster CCTV and in Chinese cinemas earlier this year – have faded out, and have been replaced by reality-check commentaries. In June, state censors ordered Chinese media to refrain from mentioning MIC2025. In the same month, Liu Yadong, editor-in-chief of Science and Technology Daily, a paper controlled by the Ministry of Science and Technology, said publicly that China was “fooling itself” if it thought it would soon overtake the US as a leader in hi-tech. Liu cited a lack of theoretical scientific knowledge, a skills deficit in some areas and insufficient patience and perseverance to see projects through as some of the obstacles facing China. In another article that caught attention, Zhong Wei, a Beijing Normal University professor, wrote on his personal social media account that Beijing should stop touting MIC2025 as a development strategy, because the US and Europe would see it as indisputable evidence of China’s aim to dominate hi-tech sectors via state-sponsored activities. Others were equally measured. 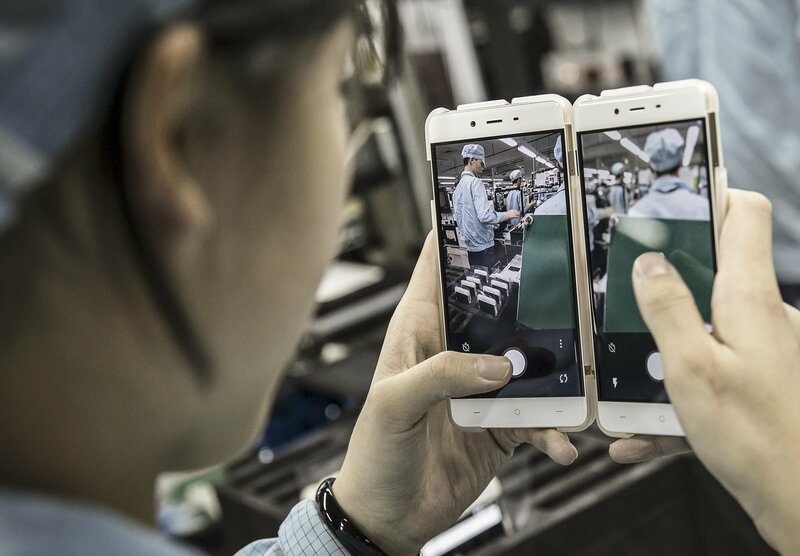 The world’s technological landscape today is not about one nation overtaking another, said Yuan Lanfeng, a researcher at China’s University of Science and Technology.